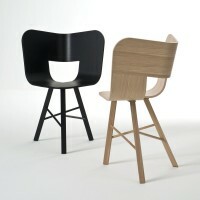 German designers Catharina Lorenz and Steffen Kaz have created the Tria Chair for the new Italian furniture manufacturer Colé. 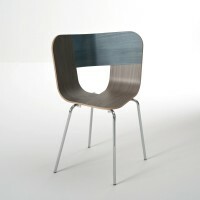 Tria is a chair that recalls the impossibile forms of Dutch graphic artist and engraver Maurits Escher, defining itself in a game of twists and elusive leak. 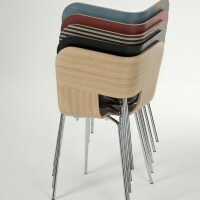 The corolla-shaped shell, composed of three equal elements assembled together, lends itself to accommodate a sequence of colours chasing each other. 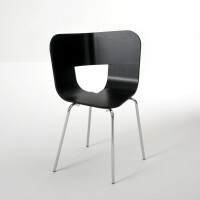 It can be used in two different seating positions, center or side (right or left). 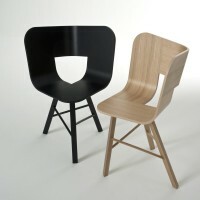 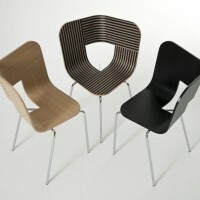 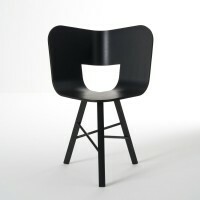 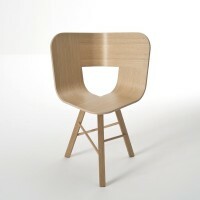 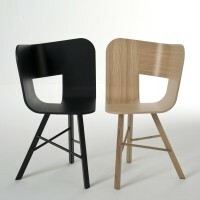 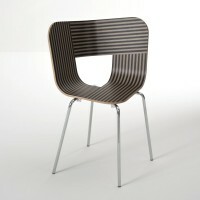 The shell, in curved plywood, is available in natural oak or stained black oak, as well as colored in three versions. There are two versions of the leg: chromed metal, stackable; alternatively in solid natural or stained black oak. 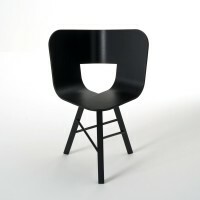 Visit the Colé website – here.